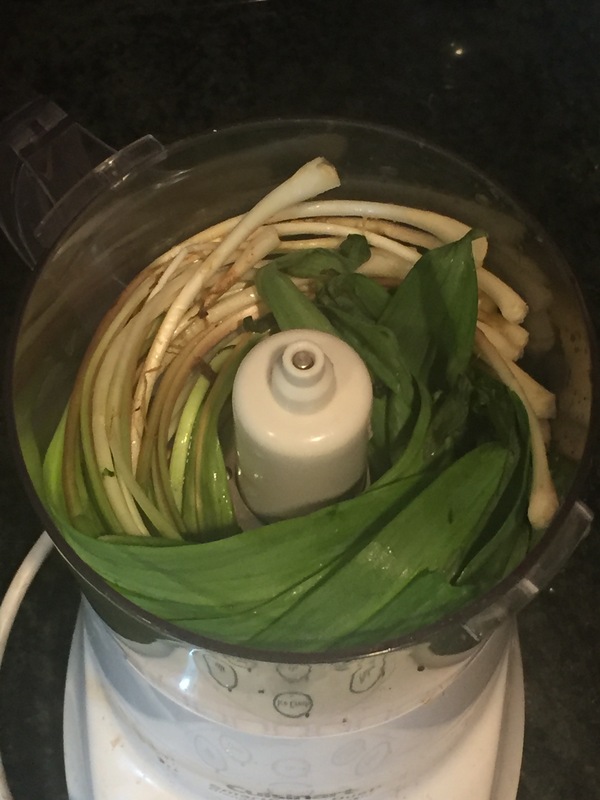 Ok, this is the last recipe I’m posting for ramps… For now at least. I can’t express adequately how much I love the flavor of these things and the fact that they are hard to come by might increase the love a bit! I gotta say, I’m attracted to that little green guy and he’s playing hard to get! I had a small bunch of ramps left, about the size of the bundle of scallions you buy at the store. I cut the roots off and popped them whole into my food processor. Then I proceeded to make my pesto. This pesto is fragrant and almost spicy with its strong onion/garlic flavor. It was completely different than a basil pesto but equally delicious! Place ramps in food processor and begin to process while drizzling a thin stream of olive oil. When you’ve added about half the oil, add the walnuts and continue to process. Add the cheese. Continue to slowly drizzle the remaining olive oil while its processing. When complete the pesto should be smooth and paste like. That’s it! 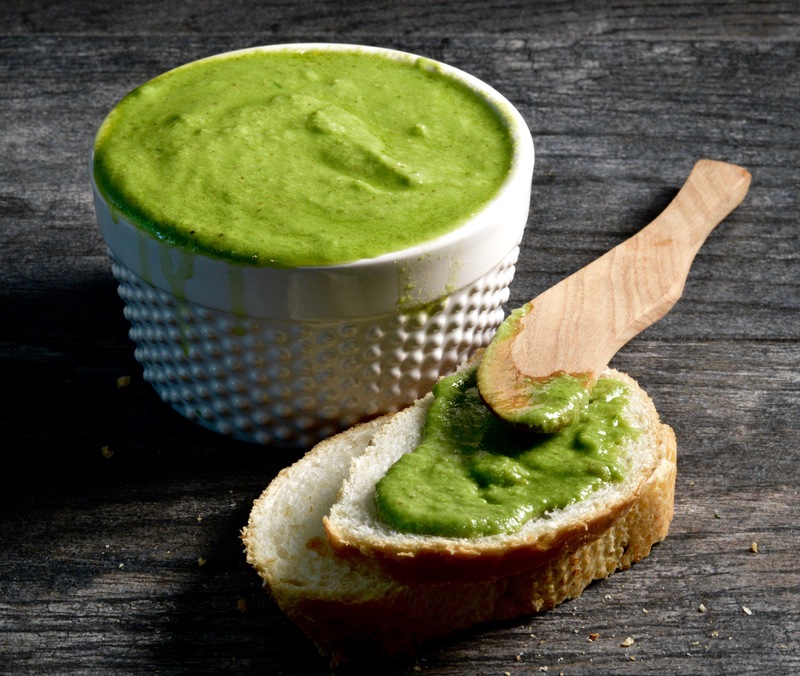 Serve it over pasta or as a dip or spread it on French bread, like I did! It was amazing! Swearing Mom out.